We believe the number one cause of failed business initiatives is poor (or no) change management planning and execution. Regardless of the nature of the effort (merger integration, ERP installation, preparation for new regulation), the key to successful completion requires deliberate planning execution of organizational change management to optimize the effort and mitigate risk. 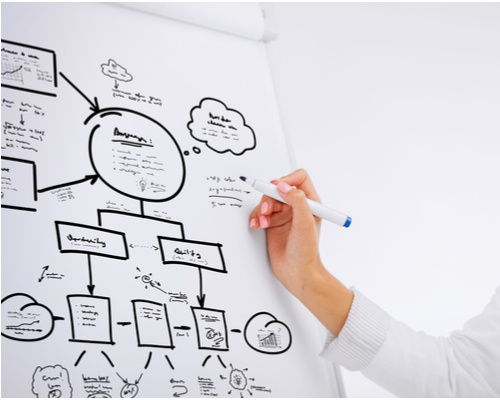 Communication planning and execution – leveraging various mediums. Organization job / role impact planning and design. Training planning, execution and measurement. Rigorous project management of change management team. Our Change Management consultants will work with you to plan for the impacted personnel during a major change (e.g., merger integration, system integration, major process change, etc) and implement change management tools and techniques. Too many initiatives happening simultaneously. Inaccurate rumors about the change. Lack of employee/user buy-in (e.g., “there is no need for the change”). Inappropriate or poor communications regarding the change. Overall change planning (“managing the change journey”). Our training consultants deliver innovative learning solutions that leverage the skills of your team members in order to align the users for a major change or to foster improvements in overall organizational performance. Learning Management System (LMS) selection. Our communications professionals work with clients to manage the typical change curve emotions and employ communication strategies appropriate for the lifecycle of a major corporate change. Design and develop project and corporate communications appropriate for various media. Design and develop project branding. Design and develop corporate or project promotional marketing items. Serve as corporate speech writers. Eleven Twenty provides consulting and training to help organizations improve process and increase productivity. We leverage our own methodologies as well as employing expertise in ISO, CMMI, Six Sigma and Lean. Process improvement maximizes efficiencies through streamlined or automated processes. It addresses your immediate needs and more long-term goals to leapfrog your company ahead of the competition by providing breakthrough performance improvement. Process improvement realigns overall business processes and automates manual processes that impede efficiency. Process improvement efforts and process redesign. Process integration (as part of a larger system or organizational effort).